“The Effects and Impacts of Marijuana Use ~ Policies and Approaches Addressing the Challenges”. Offerings in 2018: February 5 – 25, 2018, March 5 – 25, 2018, April 9 – 29, 2018, May 7 – 27, 2018, August 6 – 26, 2018, and September 3 – 23, 2018. Register online at http://www.auburn.edu/outreach/opce/marijuana.htm or call to register: 334-844-5100. Plans are afoot to offer the course each month of 2018 except for June. The course is being taught in asynchronous time which means that those taking the course can complete assignments each week when it is convenient for them to do so. It is not necessary to be online at specific times each week. Course registration fee is $199. (Please inquire about a discount if five individuals or more from the same organizations register.) Registrants are eligible for 3 CEUs. Register online at http://www.auburn.edu/outreach/opce/marijuana.htm or call 334-844-5100 to register. The course, offered under the auspices of Auburn University’s Office of Professional and Continuing Education. 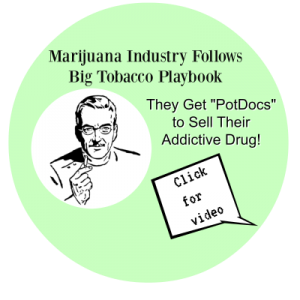 The course has been designed to help arm those who are concerned about the harmful effects of marijuana and about the negative individual and societal impacts of the legalization of marijuana with the understanding and knowledge they need concerning the research findings about the harmfulness of marijuana and the impacts on marijuana use on society. The course has also been designed to help expand the knowledge and understanding of those who are working to address the problem of recreational drug use and addiction in America so that they can be as successful as possible in their efforts. The course is also designed to help those in the position of public responsibility understand what policy and program options have been working and what options might be tried to achieve the hoped-for outcome of diminishing the amount of recreational drug use in America. Here are some additional particulars about the course: Participants in the course will study material drawn from a wide range of freely accessible resources including among others, the instructor’s website, http://GordonDrugAbusePrevention.com , and the websites of PopPot.org, StopPot.org, Smart Approaches to Marijuana (SAM), Drug Free America Foundation, Save Our Society From Drugs, Partnership for Drug Free Kids, Community Anti-Drug Coalitions of America, American Council on Addiction and Alcohol Problems (ACAAP), Moms Strong.org, the International Faith Based Coalition, Citizens Against Legalizing Marijuana, Parents Affected by Addiction, Alabama Citizens Action Program, and National Families for Action, and their weekly mailer, The Marijuana Report. Topics to be addressed include the following: • The need to defend the brain while nurturing mental and physical well-being: The need to foster a mental and public health approach to addressing the challenges of drug use and addiction; • An extraordinary look at the addiction cycle, including the video “Ultra Potent Pot: Growing Risks and Impacts” at https://www.youtube.com/watch?v=W34pKwIcz80&feature=youtu.be; and • Comprehensive coordinated strategies aimed at stopping the use of marijuana and other psychoactive and addictive substances in the US: Proposed comprehensive and coordinated public health-oriented strategies involving all sectors of society, including government, the justice system, and educational institutions. The Instructor for the course is Paula D. Gordon, Ph.D. Dr. Gordon has been involved in the drug abuse prevention and drug policy fields for many decades. She had a non-profit organization based in the San Francisco Bay Area. That organization focused on addressing the drug problem particularly as it was affecting youth and young adults in the ‘60’s and ‘70’s. At that time, she wrote a Guide to Ideas on Drug Abuse Policies and Programs. The Guide is still being distributed by the U.S. Education Resources Information Center. (A copy is accessible at http://GordonDrugAbusePrevention.com). Dr. Gordon was a major contributor to a White Paper on the Drug Problem prepared for the Domestic Affairs Council Staff of the White House. That was at a time in the early ‘70s when there was no Federal coordinating effort overseeing drug abuse prevention programs and policies. She later served as a full-time consultant in the Office of the Director of the National Institute of Mental Health, when NIMH was given initial responsibilities for overseeing drug prevention efforts, the recommendation that she had initially made to the White House Domestic Affairs Council staff. She served as the full-time staff person to the Federal Drug Abuse Prevention Coordinating Committee. She also played a role in initiating and shaping the legislation that gave rise to the Special Action Office for Drug Abuse Prevention (SAODAP) in the Executive Office of the President. SAODAP took the place of the Federal Drug Abuse Prevention Coordinating Committee. Later, SAODAP was replaced by the Office for National Drug Control Policy (ONDCP). Her past experience in government has also included drug abuse prevention-related contracting and consulting roles with the Department of Justice. Owing to her efforts, a set of three Regional Conferences on “Alternatives to Drugs” was held under the auspices of the Bureau of Narcotics and Dangerous Drugs. A substantial website of her work can be found at GordonDrugAbusePrevention.com . Included among the articles, presentations, and reports is a 33-page list of references on the harmful effects of on marijuana. Some of her work that is posted there includes the following: • A Case for Protecting the Brain: Keeping the Federal Controlled Substances Act in Place and Providing Non-Punitive, Justice System-Based Public Health Options to Address the Use of Marijuana, Opiates, and Other Psychoactive and Mood-Altering Drugs in America. (October 14, 2016). Articles that appeared in the Journal of Drug Education and Drug Forum, along with other presentation and reports are also posted at the website. A report on the passive inhalation of marijuana smoke is also posted there. Dr. Gordon has developed and is offering this course on “The Effects and Impacts of Marijuana Use ~ Policies and Approaches Addressing the Challenges” in an effort to help more fully inform and support those working to stop the spiraling use of marijuana and other psychoactive substances in our society. The course also will help inform policy makers and others in roles of public responsibility concerning the harmful effects of marijuana and the substantial negative impacts its use has on individuals, families, communities, and society in general. Those who participate in the course will be in a better position to help ensure that policy makers, legislators, and others are as fully informed as possible concerning the effects and impacts of drug-taking behavior. All who take the course will be better prepared to develop and implement sound policies and programs. They will be able to enhance drug abuse prevention, intervention, treatment, and rehabilitation efforts and they will also be enabled to help ensure that current drug-taking trends are reversed. China was able to conquer opium. The United States can surely be successful addressing the widespread use of marijuana, opiates, and other mind-altering and mood-altering substances that are threatening the rising generation as well as all others in society today. Indeed, current trends are threatening the very stability and future of our free society and our extraordinary experiment in maintaining a government that protects and preserves the freedom that we hold dear. Mary Parker Follett has said that the definition of the purpose of democracy was “to unleash creative energies”. The subtext of her words was to unleash creative energies for the benefit of humankind. We must do all we can to, to borrow Dr. Bertha Madras’ words, “to defend the brain” and I would add to protect the body and the moral fiber of the people of our great nation. If we fail to do so, we will have forsaken the promise that the nation’s founders and all who have since protected our freedoms have helped secure and have given up so much to bequeath these freedoms to us.